Cryptocurrency is one of the untapped miracles of our time; the heavens knew a time would come where nations of the world would face financial destitution. Cryptocurrency is changing the way people do business these days. One important thing to note is, Bitcoin is the most prominent, and not the generic name for all digital currencies. Others include Ethereum, ripple, lite coin, neo. 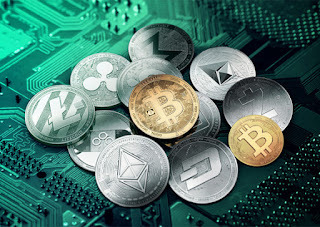 The digital interchangeable money is now trending all over the world; it is a recognized legal tender for buying and selling with the use of a blockchain wallet otherwise known as a virtual bank account. You can buy items like food, lands, cars and the likes using your digital currency. Notable online merchants such as Microsoft, Shopify stores, Amazon now accept bitcoin. I get that people are still quite skeptical about this new money but considering the enormous value it brings, It is no news countries like the Czech Republic have jumped to 46 bitcoin atm that withdraws bitcoin as cash. Some countries have revolted against cryptocurrency based on the argument that if cryptocurrency gains wider adoption, there is a possibility of central banks losing their influence on tactics such as interest rate changes. In truth, countries feel threatened that crypto transactions cannot be taxed. Individuals are showing interest in digital currency because it is decentralized, it has limited supply and users are anonymous. Particularly for business owners, international transfers are faster and at no commission. Blockchain is the best known general ledger where bitcoin transactions are recorded. A blockchain is a data structure that makes it possible to create a digital ledger of transactions and share it among a distributed network of computers. According to BTC Nigeria, a Bitcoin-focused newspaper, on January 18, 2017, one Bitcoin was worth $895.26, which is equivalent to ₦284,304.93. On its website, BTC advocates for bitcoin, calling it “a high-profit investment.” As at today, one bitcoin is worth N2, 697,762.00. For beginners, understanding cryptocurrency might be problematic. However, it can be an easy way of making money, one of the best ideas for those seeking to have passive income. Bitcoin is the most reliable of the lot. Generally speaking, no one can predict the future of cryptocurrency just as no one knows who invented it. As we have analyzed the advantages, the disadvantage is that it has become a new favorite for criminals as it does not reveal identity and transactions cannot be reversed. Just as every experienced investor would advise, invest what you can lose and not be in distress!